Classical buildings, riverside promenades, modernist structures, medieval streets, and of course the famous Porto wine. Porto may be Portugal’s second city, but it is packed with hidden gems, exciting streets and a diverse food culture for visitors to enjoy. Built overlooking the Douro River and situated between Lisbon and Braga, Porto is a hilly city with charming architecture and an enchanting history. In recent years, the pretty port town has been modernized, and its gothic churches now sit beside bridge links and metro stations. Although the Porto of today is dynamic and modern, the city still remains firmly rooted in tradition; it boasts one of the oldest city centers in Europe and is classified as a world heritage site. 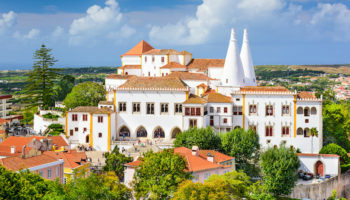 Sprawling squares and monuments form the backdrop to stylish cafes and local bars, where locals and tourists mingle and sip glasses of port into the evening. The best way to explore the diverse city center is on foot, as many of Porto’s top attractions are in easy walking distance. Alternatively, you could try out the city’s slick metro system, or take a ride on its old trams and trolleybuses. The various districts of Porto each offer a slightly different viewpoint to the spirited wine capital and there is accommodation on offer to suit every budget. From arty boutique lodgings to mid-range chic hotels and luxury stays in historical buildings, there is a wide variety of places to stay in Porto. The city’s unchanging charm, fashionable atmosphere and traditional taste make it an intriguing and exciting destination for your next European break. Central Baixa is a busy downtown area of Porto built up around the grandiose Avenida dos Aliados. Baixa is home to many of the city’s most famous landmarks, such as the Praça da Liberdade and the São Bento railway station. Here you can take a walk down the Rua das Flores – meaning ‘Street of Flowers’ – with its decadent baroque façades. The historical center is made up of a labyrinth of streets where terrace cafes and stylish boutiques can be found housed in the classical buildings. Staying in Baixa would mean paying more for a hotel room than you would for a room slightly further out of the city, but if you only have a few days to spend exploring what Porto has to offer, then Baixa is the perfect place to base yourself as it has fantastic metro connections to the rest of the city along with easy access to the bus network. Hotel Dom Henrique – Hotel Dom Henrique is just five minutes away from the City Market Bolaho, as well as the Trindadi metro station, meaning getting around Porto from this 4-star offering is easy – great for people who love to explore the city. The hotel itself is busy, with a city atmosphere, and serves up a tasty breakfast in the morning. There’s a stylish restaurant and a rooftop bar on the 17th floor – complete with fine views across the city. Porto A.S. 1829 Hotel – True to its name, this hotel is set inside a beautiful 19th-century building that has been fully renovated and is beautifully decorated with a quirky sense of style. The rooms here are spacious and some feature views out across Porto, whilst others have a classic bath to luxuriate in. The Dom Luis I Bridge is an easy stroll away, as is the exquisite Porto Cathedral. Close to many waterfront eateries with views of the river, this is the perfect place to stay if you like classic architecture and a good glass of wine. Hotel Internacional Porto – Inside a classic historic building featuring traditional Portuguese decor, and set down a cobbled street, this hotel is in a perfect location for sightseeing around Porto and soaking up everything this city has to offer. It’s easy to get to the beautiful Sao Bento train station, Porto Cathedral, and a whole lot more of the city’s history. There’s also a restaurant on site that serves up delicious Portuguese food. Pao de Acucar Hotel – Situated 100 meters from Avenida dos Aliados, the beating heart of Porto, this hotel is stylish with some quirky touches. For one thing, there’s Art Deco memorabilia scattered throughout the communal areas, which is fun. 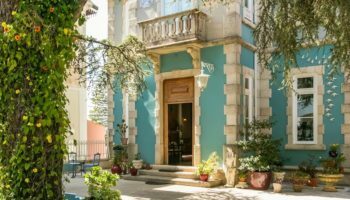 There’s space on the sun terrace to enjoy views of the city, or you can borrow a book from the hotel library and unwind in the pleasant, laid-back atmosphere of Pa de Acucar Hotel. One of the oldest districts in Porto, Ribeira is set along the river and is very popular with foreign visitors to the city. The historic center is protected by UNESCO and is home to some stunning architecture and a wealth of culture and history. The streets of this old part of Porto are full of restaurants and bars, quirky boutiques and museums, which come alive in the evening as locals gather for a supper of tapas along the river. This is also the best place in the city to sample some of Porto’s iconic tipple at the Port Wine Cellars. The old traditional houses in the Bairro do Barredo offer visitors a glimpse into a Porto of the past. A great way to see the city from here is to catch a ferry or take the scenic bus route. Accommodation in the area is found in historic buildings, and made up of chic and stylish boutique hotels. Pestana Vintage Porto Hotel – With its large, bright, airy rooms, this luxurious hotel is a world of comfortable furnishings, chic aesthetics, and a calm atmosphere. If you’re looking to visit Porto in true style, you should definitely think about staying here. The rooms come with floor to ceiling windows that look out across the Douro River and they’re impeccably well maintained. There’s a cocktail bar at this 5-star hotel that offers up delicious cocktails and a restaurant where you can enjoy sumptuous dinners. Descobertas Boutique Hotel Porto – This boutique offering has a strong yet simple design aesthetic which reflects the decorative history of Porto; there are exposed stone walls and high beamed ceilings. Perfectly positioned for discovering what the city has to offer, it’s easy to stroll along the Douro River here and visit the famous Port wine cellars. There are plenty of restaurants and bars within walking distance of this stylish hotel, too. The breakfast served here features a wide array of continental dishes and caters to all dietary requirements. Ribeira do Porto Hotel – Situated inside a classic Porto building and decorated in a rustic yet clean style, staying in Ribeira do Porto Hotel means great views of the river and the surrounding historical area. The hotel itself is compact, but it’s very well run by a team of professional staff who really care about the guests and also provide a high quality of service. The second floor of this friendly hotel hosts a Tasca bar, where you’ll also enjoy eating breakfast each morning. Creative Cedofeita is a trendy neighborhood that has a lot to offer visitors. If you want to spend time exploring Porto’s art scene, then Cedofeita is the district for you. With its interesting art galleries, urban cafes and stylish shopping, Cedofeita offers visitors the chance to learn more about Porto’s modern day culture as well as spend time enjoying the green side of the city at the sculpted Crystal Palace Gardens. The area is also great if you are traveling with children as it is less busy than central locations. There are some beautiful guesthouses to choose from in Cedofeita. Many are stylishly decorated and offer comfort for great value. The area is very popular with students and there is a fun party scene here, with street parties often taking place. Couple that with many top attractions being within easy walking distance and it’s a hip and happening place for your Porto break. Hotel Cristal Porto – Featuring minimalist rooms decorated in a white and blue color palette, this new and modern 4-star hotel is set next to the beautiful Lapa Church. Elsewhere at Hotel Cristal Porto, you can expect spacious bedrooms with large, comfy beds, as well as a quiet atmosphere that’s just perfect for a good night’s sleep. The staff provide an excellent service – they’re very friendly and always willing to help. There’s a fantastic breakfast on offer every morning, and there’s even an evening buffet meal if you’d like to eat at the restaurant here. Charming House Cedofeita – The actually charming Charming House features simple, stylish, and homely rooms that will make you feel like you’re returning home after a day out exploring the city. Offering great value for money (perfect for those on a budget), the rooms here feature modern bathrooms and high ceilings – all with clean and contemporary decor. There’s a shared lounge and a garden to relax in at this lovely hotel, too. Up-and-coming Bonfim, in the east of Porto, extends all the way to the banks of the Douro River. Packed full of heritage, with decadent mansions along the Rua de S. Vítor close to the river, the area became a hub for the city’s industry in the 19th century and was well known for its textile industry, which shaped the skyline with tall chimneys. 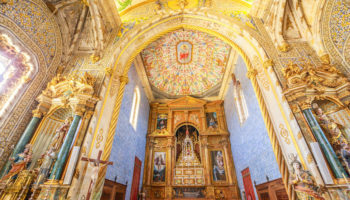 Bonfim’s church sits elegantly at the top of Rua Bonfim and is a pleasant spot for a stroll, along with Rua de Santa Catarina, a pretty shopping area. Hotels in the area are mid-range and offer all the amenities you will need during your stay in Porto. Although further out from the center, Bonfim does offer a glimpse into a less touristy side of Porto. 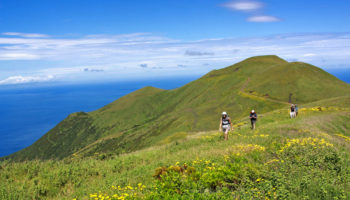 Public transport links are simple to use so getting to the top sites is easy. Eurostars Heroismo – Just one minute away from the Heroismo metro station, this hotel is set in a great location for getting around and exploring the city; there’s even a parking garage here if you’re on a road trip. The hotel itself boasts simple and modern bedrooms, providing everything you’ll need for an enjoyable stay in the city. There’s an onsite bar for a cocktail or two in the evening, as well as services such as a laundry – even meeting rooms if you need to get some work done. Seculo Hotel – Just five minutes from the nearest metro station and utterly surrounded by plenty of places to eat and drink, this city hotel is located on the famous walking street of Rua de Santa Catarina; the location is perfect if you love shopping or exploring the city. There are many museums just a short walk away, including the Photography Museum and the Natural History Museum. The interior of the hotel is simple and compact but offers a safe, clean, and comfy place to stay. If you want to see more of Porto’s modern side, then the beautiful Boavista district is for you. What was traditionally the business district has developed into a flourishing cultural quarter and is home to some iconic, award-winning architecture. 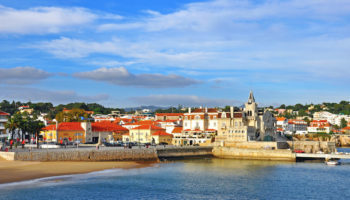 The famous Serralves Museum of Modern Art and the Casa da Música are both located in Boavista, as well as many other interesting sites such as the large City Park and the planetarium. The longest avenue in Porto runs through the area, the eponymous Avenida da Boavista, with its happening bars, hangouts and boho rooftop restaurants. Boavista is a great place to stay in Porto if you love shopping: pop into the modernist Bom Sucesso Market for a bite to eat and then take a stroll along the seafront esplanade of the Edifício Transparente building. 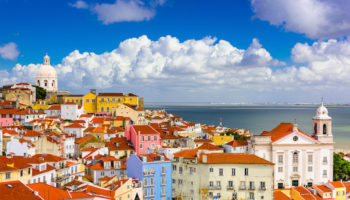 The area has some fantastic, modern hostels to accommodate travelers on a budget and easy connections to the airport via the Casa da Música metro stop. HF Fenix Porto – A shining, contemporary, modern hotel in the commercial district; if you want quality service and top-notch facilities, then this is the place for you. Staying at HF Fenix Porto means being able to enjoy the comfort of the stylish, retro-modern lounge areas as well as the cool bar. Or you can retreat to the more simplistic, clean cut interiors of the bedrooms. There’s easy access to the metro from here, plus it’s great for those who like shopping or want to try out local restaurants and bars without the tourist crowds. Boavista Guest House – Just one hundred meters from the Sao Martinho da Cedofeita church, this is the ideal hotel for people who want to enjoy Porto’s historic center. The iconic Lello Bookshop is an easy ten-minute walk from here, as are fantastic coffee shops and bars. The hotel, although small, is comfortable and clean, with modern bathrooms and great showers. Also featuring friendly staff – who offer you complimentary glasses of Port in the lobby – there’s a terrace where you can enjoy breakfast in the morning. South of Porto, on the opposite side of the Douro, is the acclaimed wine center Vila Nova de Gaia. Known for its wine cellars, the famous Port wine is stored and aged in the district’s cellars which have become popular with tourists who enjoy tours and tastings. Not only known for its wine, the coastal district has some beautiful sandy beaches such as Praia da Madalena. A charming spot for dinner is along the historic Cais de Gaia, where there are many cafes and rooftop bars for you to enjoy great food and drinks with views across the city skyline. Even though Vila Nova de Gaia is a separate city and a little further out from the center of Porto, it is still simple to travel around on the metro from the area, or you could catch a ferry across the river. 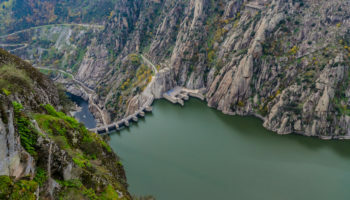 Stay in a modern hostel or guesthouse in this uncrowded area or spend a little more and nab yourself a mid-range hotel with a view of the river. The Yeatman – With its huge, grand bedrooms, The Yeatman features touches of interesting design; for example, one room has a bed located inside an oversized old Port wine barrel (but other rooms do have traditional sleeping arrangements). The Yeatman has a spacious outdoor terrace with sun loungers, as well as a 2 Michelin starred restaurant for the ultimate in gastronomic luxury. At this beautiful hotel, you can enjoy a world of class but easily explore the city – the metro is a five-minute walk away. ClipHotel – Situated just one minute from El Corte Ingles, as well as Joau de Deus metro station, this is a budget city hotel with small and simple contemporary rooms; many of these come complete with city views. It’s easy to reach many of Porto’s central landmarks from here, and return after a busy day to enjoy a glass of Port wine in the hotel’s bar. Breakfast is served with fresh orange juice and an array of continental food is on offer. Affluent and historic, Foz do Douro is a must see for every visit to Porto. Out in the west of town, with its blue flag beaches and sunset bars facing the ocean, the area is as laid-back and relaxed as an urban area can get. 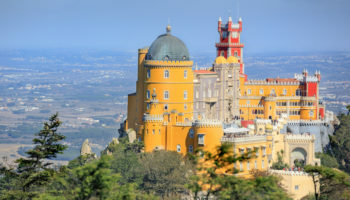 Take a walk along the Atlantic in the evening, pop into art exhibitions, dine in Michelin-star restaurants, and watch the sunset from the waterfront at the 17th-century Castelo do Queijo fortress. Mercado da Foz, a covered market, offers visitors the chance to sample traditional Porto food. 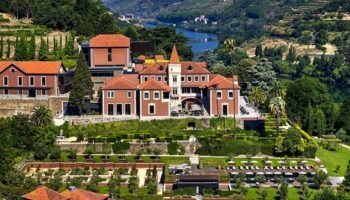 A great district to stay in if you are planning a romantic break, hotels in Foz do Douro are elegantly high-end with waterfront views and chic interiors. And once you’re here, it’s easy to reach the city center from Foz do Douro by taking tram one from Passeio Alegre to Infante. 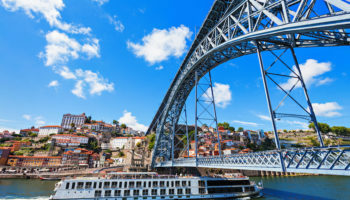 Hotel Boa – Vista – The Hotel Boa – Vista is situated inside a beautiful 19th-century building; this one is a fantastic option for a great all-rounder in Porto. With views over the mouth of the Douro River, you can soak up a city panorama from the rooftop and enjoy a coffee at the hotel’s cafe. 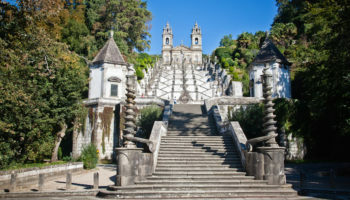 This is set in a quiet area, away from tourist crowds and an easy bus ride into central Porto. It’s near green spaces such as Passeio Algere Garden. Back at the hotel, there’s an indoor pool to relax in. When people talk about accomodation, they allways mention hotels. However There is a new reality of accommodation that are touristic apartments for 2/3 or 4 people, with 2 bedrooms. It’s more economical. 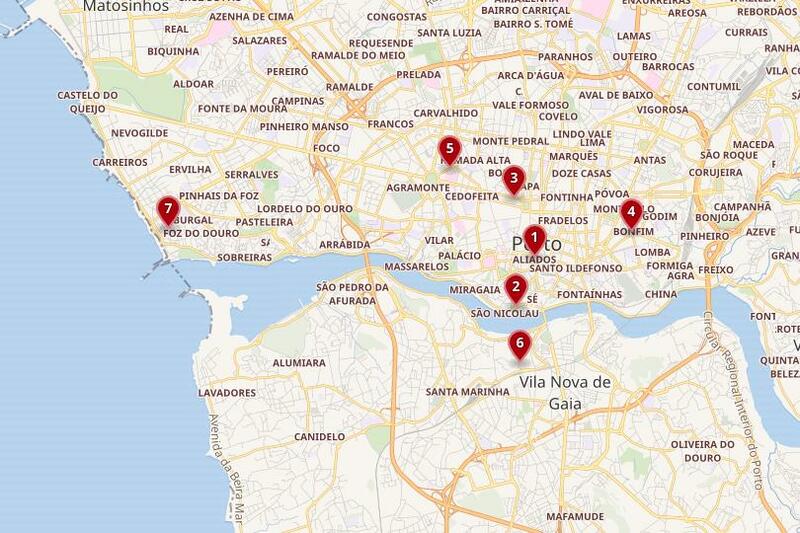 For example, I stayed at “Oporto Luis Bridge Residence”. This is a very familiar accomodation, with a small Kitchnette, next to the S. João theater, in the heart of the historic center and all the attractions. It would be good to publish on your site.